This post contains sponsored material. All opinions are my own. 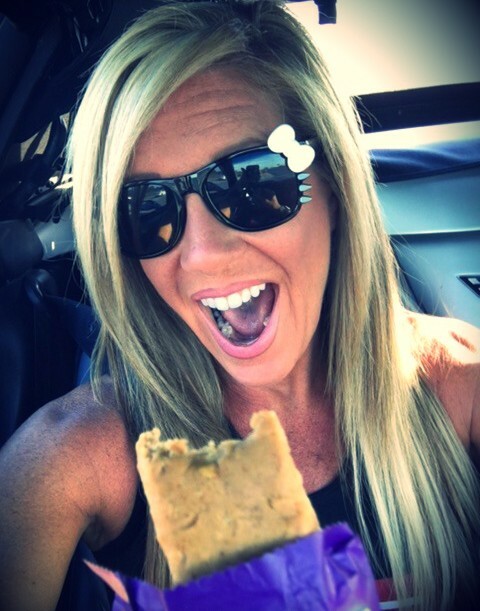 Searching for the Perfect Protein Bar? There are so many protein bars on the market these days – but not all protein bars are created equal. Some so-called protein bars don’t even count in my book. Some of them are just as bad as a cereal bar or candy bar. They have all the ingredients and calories of candy bars, and then they just add a little protein to make you feel better about eating junk food! PFIT TIP: I put my bars out where they are easy to see so I don’t forget to grab one out the door. Out of site, out of mind. 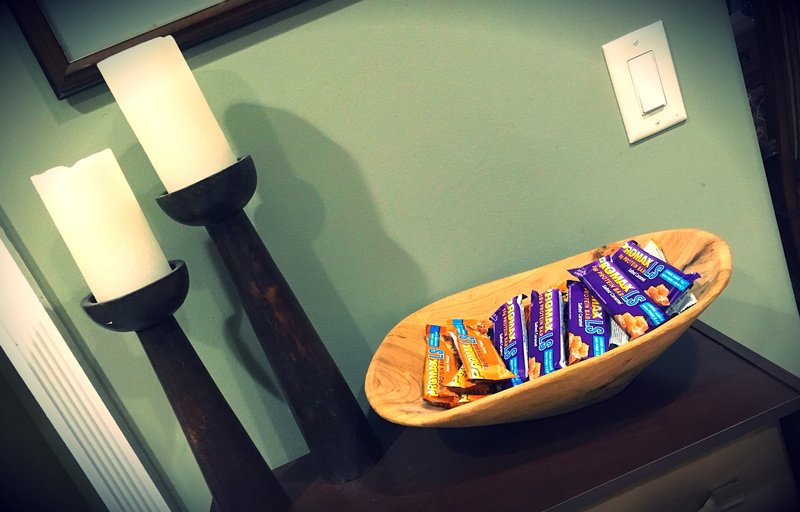 Everyone is different with unique needs and tastes, but when it comes to protein bars, you still want to make sure you are getting a healthy bar and not just a candy bar with a healthy-looking name on the label. You want a bar that is going to help you toward your goal – not sabotage it. You should look for a bar that will not just satisfy your hunger for a minute, but that will satisfy you for a while. It should have quality ingredients to not only fuel your body but also sustain it. In my opinion, there are very few protein bars that actually do this. There are PLENTY of bars out there, but most are too high in sugar, carbs, or fat. Another big issue is that many protein bars are way too high in calories. If I’m going to eat 400 calories, I’d rather eat a full meal! I was recently introduced to Promax Nutrition Carb Sense bars. They are high-protein bars (18g protein), which are perfect for people who watch carbs and are trying to manage their weight. There are only 5-6g of net carbs per bar with a whopping 12-13g of FIBER. Another thing I love about these bars is that they’re perfectly balanced! I typically try to follow the 33/33/33 principle of eating equal amounts of each macro-nutrient (33% calories from fats, protein, and carbs). 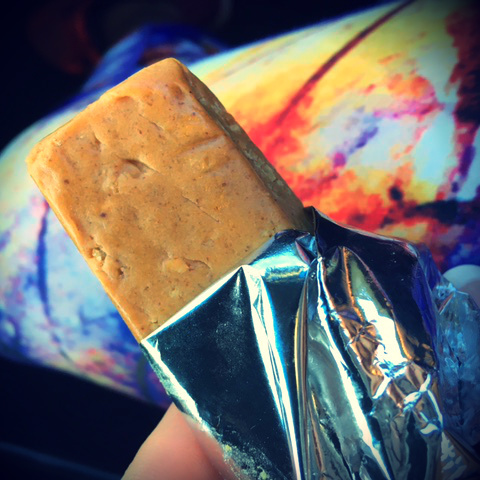 Promax Nutrition Carb Sense bars fit my nutrition plan perfectly! “If you fail to plan, then plan to fail”. I always say “if you fail to plan, then plan to fail”. Too many people make poor decisions simply because hunger creeps up on them and they are unprepared. That’s why I always have a bar on me at all times. I keep one in the car, one in my purse and one in my gym bag. If you are a chocolate lover, you have probably experienced the hot mess a bar can leave if you leave it in your car. 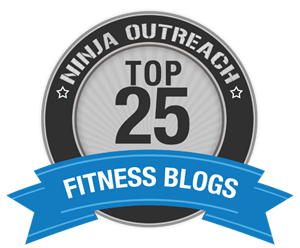 That’s another reason I like Promax Nutrition bars. In addition to having chocolatey bars for the chocolate lovers, they have great tasting bars without the chocolate coating, which can melt in hot temperatures – and can crumble in your lap (pet peeve! ), if you are like me and eat them on the go. Another reason I like the Carb Sense bars is because they taste more like food than candy. Since they are mildly sweet, they don’t make me feel like I’m trying to eat a Snickers Bar for breakfast (that’s not a habit I want to start teaching myself! ).The Carb Sense bars are more along the lines of the sweetness of a muffin. I personally can’t eat sickeningly sweet bars in the morning or around my workout (they make my stomach uneasy). However, if you are having a sweet tooth craving, they have you covered there, too with many other delicious options. I hear their chocolate bars are a popular item, so I guess that will be the next one on my list to try – especially for those nighttime sweet cravings! Today is a good example of eating on-the-go. I had to be up at 4am to teach boot camp and I knew that I’d need to eat before I worked out later in the morning after classes were over. So, I threw a Promax bar in my purse. 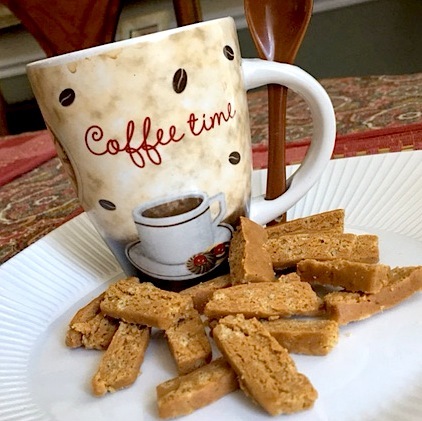 Once classes were over, I poured a nice hot cup of yummy coffee and enjoyed my Carb Sense bar with my coffee as a breakfast meal replacement, which was perfect pre-workout fuel. The only problem was I wanted to only eat half of it, but it tasted too good so I ended up eating the whole thing! Ha! Good thing it was only 180 calories! The 2 bars I got are the Carb Sense Salted Caramel and the Carb Sense Honey Peanut and I really am enjoying them so much. To make them last even longer, I cut them up into pieces (my mom taught me this trick!) and snack on them as I get hungry. One bar has lasted me 2 hours this morning as I just pop a couple pieces in my mouth with every few sips of coffee while I work! You can get them online in a few simple, easy steps or you can use the store locator to find a store in your area. I just found out that they sell them at the Vitamin Shoppe near my house… Yay! I can’t wait to try more flavors! Check them out and let me know what you think. “if you fail to plan, then plan to fail” Is it your quote?